He’s always watching, but ever wonder how? Carving Undercover Santas features 12 patterns with step-by-step instructions for carving Santa in disguises during his off-season! 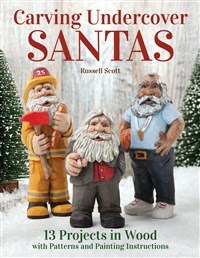 From a Principal and Park Ranger Santa to a Lifeguard and Basketball Coach Santa, make St. Nick part of your décor all year-round! 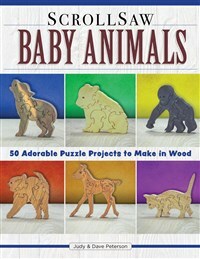 From baby pandas and piglets to bear cubs and lion cubs, this book has over 50 scroll saw projects and patterns that focus on young animals found in the zoos, woods, jungles, and oceans of the world. Providing basic information on using a scroll saw to creating puzzle animals, there even a few simplified projects with pieces large enough that are safe for children to play with! Take your woodburning art to the next level by taking a master class with award-winning pyrographer Simon Easton! 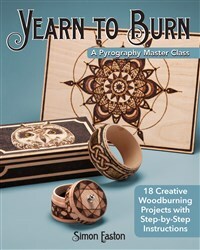 This inspired sequel to Learn to Burn offers the opportunity to advance your skills with guidance from a master craftsman. 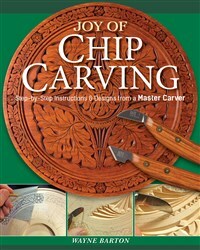 Thirty new projects with clear instructions and step-by-step photographs fit a wide variety of occasions and decors. 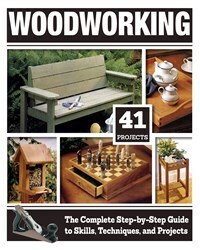 This big book provides the expert guidance you need to become a master woodworker, with step-by-step instructions on tools and techniques, 41 complete home furnishing project plans, easy-to-follow diagrams and more than 1,000 lavish full-color illustrations. 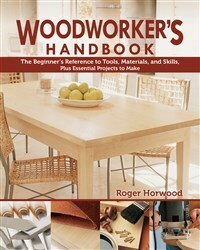 This practical introduction to the craft of bending wood shows how wood can be made to behave in remarkable ways with the application of a little heat and steam. 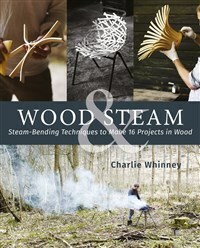 Written by a leading expert on the topic, Wood & Steam includes 16 step-by-step projects for coat hangers, trivets, chairs, lampshades, and more. 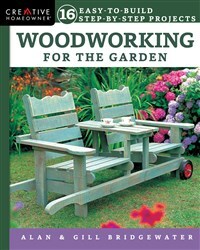 Woodworking for the Garden offers 16 stylish outdoor projects, from trellises and planters to decking, fences, chairs, benches, tables, sheds, pergolas and more. Each project includes easy to follow step-by-step instructions, color photographs, clear construction diagrams, and materials lists. 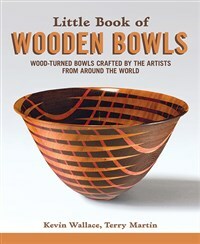 This craftsman's companion celebrates 31 of the woodturners and innovative artists from around the world who have taken bowl-making to a higher level of aesthetic form. Each artist’s profile includes full-color, studio-quality photographs of their most spectacular work, along with insights on their design ideas and objectives. 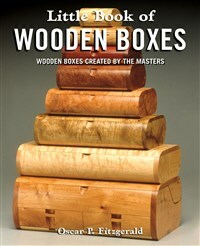 This craftsman's companion celebrates 31 of the woodturners, furniture artists, and elite craftsmen from around the world who have taken box-making to a higher level of aesthetic form. 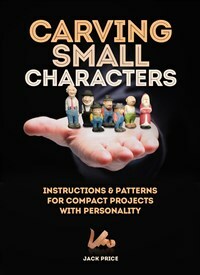 Each artist’s profile includes full-color, studio-quality photographs of their most spectacular work, along with insights on their design ideas and objectives. 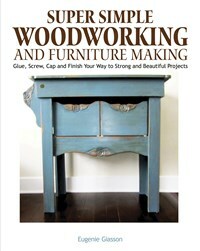 Discover how to build rustic furniture from cut timber in this comprehensive guide for woodworkers. 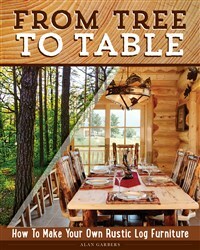 Award-winning outdoor writer Alan Garbers shows how to use raw logs to make charming cabin-style beds, tables, benches, lamps, coat racks, kiva ladders, and more. 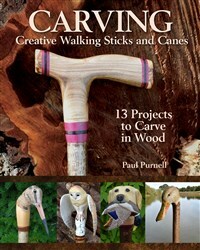 Discover how to create unique and beautiful canes that will be treasured as useful works of art. 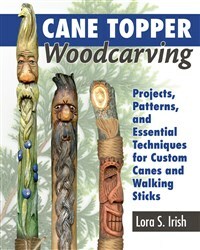 Legendary carving artist Lora S. Irish introduces you to all of the essential components and techniques of cane topper carving in this comprehensive guide.